If you’re looking for an easy-to-maintain countertop with endless variety, Quartz is the way to go. Quartz material countertops are made from one of the hardest materials on earth. 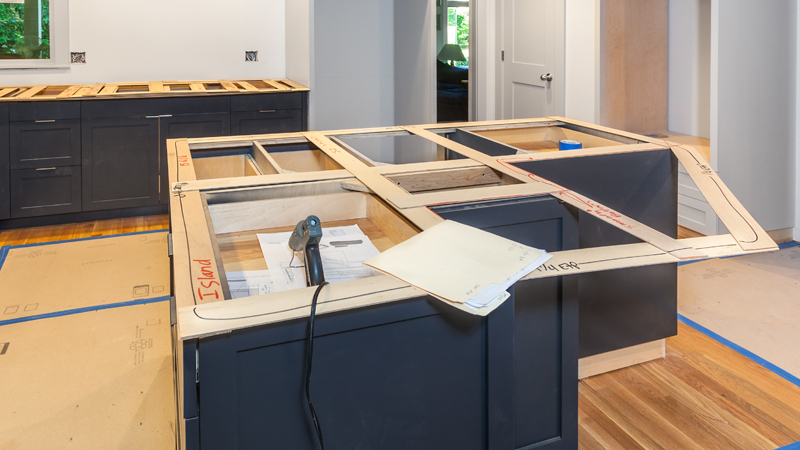 They’re arguably the most durable countertop and incredibly resilient. Quartz countertops consists of ground up Quartz and a polymeric or cement based binder. These countertops have developed a reputation as a more durable, less porous, and more easily fabricated version of slab granite. Concrete countertops are very popular on hit HGTV shows like Fixer Upper. Concrete counters are either precast in a shop or cast in place during your kitchen construction. Like most natural countertop materials, concrete is porous and needs to be sealed to prevent staining. Maintenance is minimal with concrete countertops, and it is recommended that you use a nonabrasive cleaner when cleaning your countertops.